How to Order a Yearbook (school number is 1197) Order your 2018-2019 yearbook starting July 1 and save $! The price increases as the year progresses, and the first price increase is the first day of school. Get your yearbook early for $70. Go to yearbookordercenter.com. Yearbook sales are cut off after 1/1, so don’t delay. Get yours now while you still can. Upload your pictures of Fall Athletics to www.hjeshare.com Enter yellowjackets to have your images considered for feature in the 2019 Yearbook! Seniors: Don’t forget to set up your portrait session with Leonard’s Studio. All seniors must have their portraits done by 9/28 if they would like to have an image in the book. All images in ads and all individual student pictures must be consistent with the St. Johns County School District Student Code of Conduct or may be digitally adjusted. Upload images to use in the yearbook to the following site: www.hjeshare.com and enter password yellowjackets (all lower case). You can upload 10 pictures at a time. 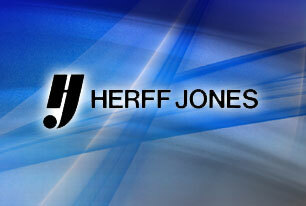 Upload images from your phone with Herff Jones’s free App: HJ Eshare. School code is yellowjackets. It’s fast, simple, and free!